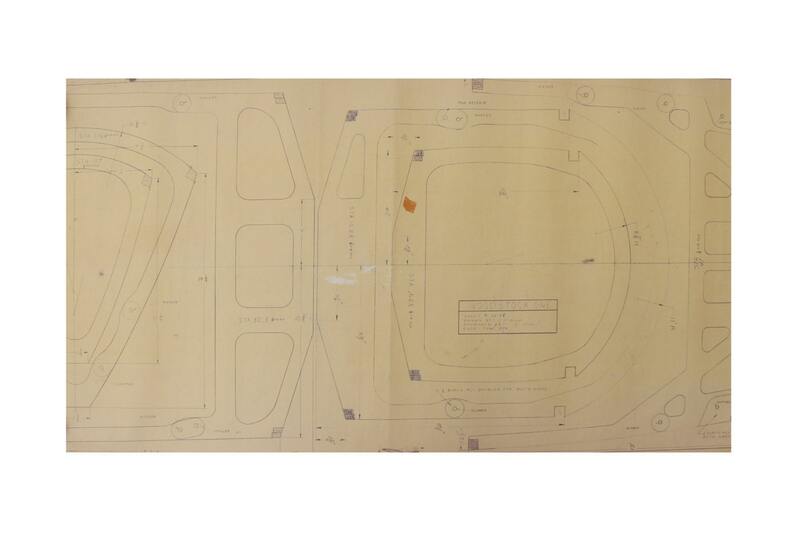 This is a vintage model airplane blueprint! 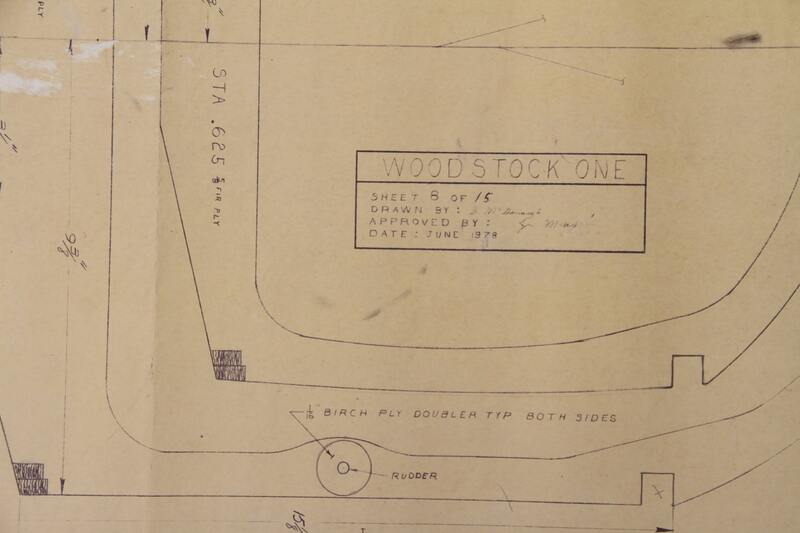 The Woodstock print is from San Pedro, CA and dates to 1973. 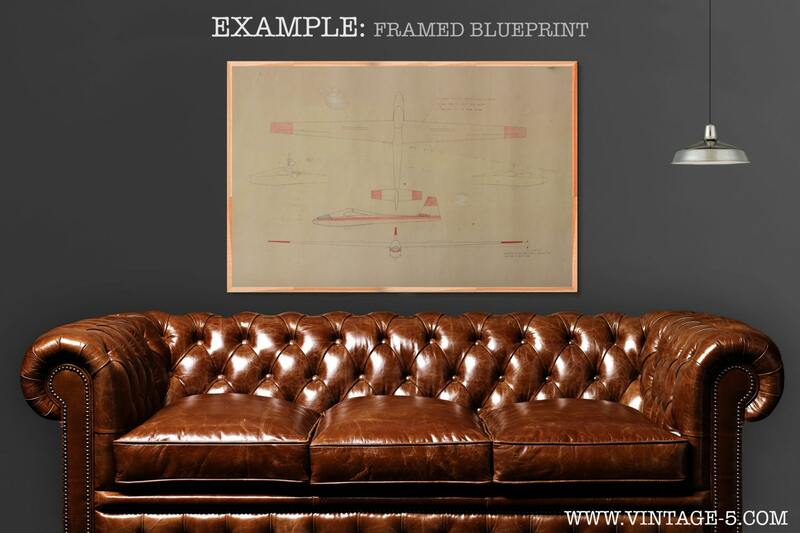 The blueprint has a great aged look and patina, and it will look great framed (see the example pic). BLUEPRINT SIZE: The blueprint measures 24" x 49" overall. 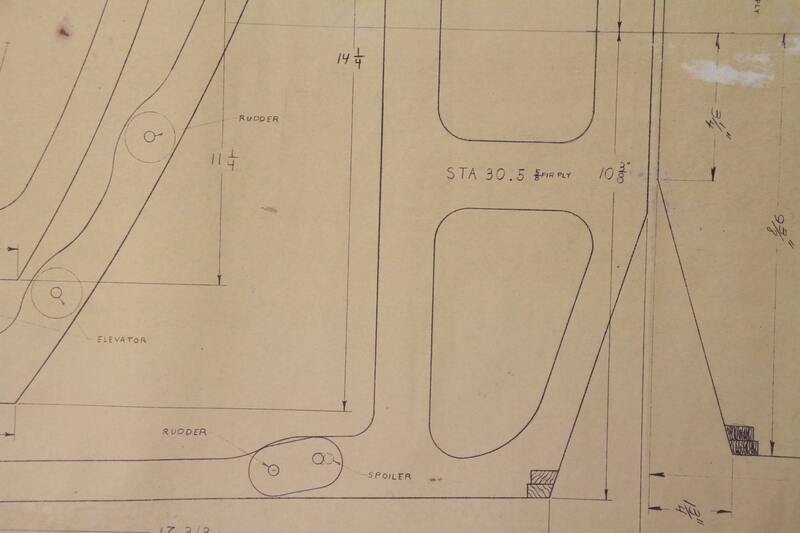 However, the blueprint could be cut and framed in a variety of dimensions. 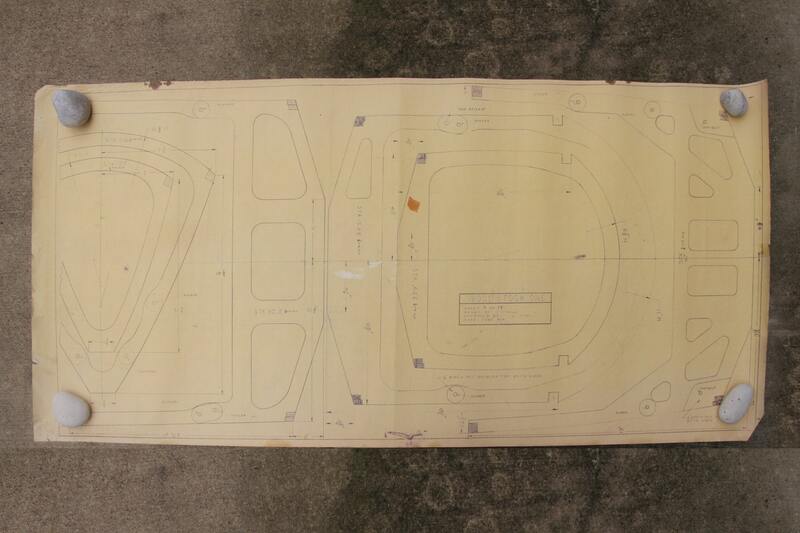 CONDITION: The blueprint does have staining, spots, and wear (including the edges). However, all of these things completely add to the character! NOTE: The print will come loose without a frame.